First time in the Indian history of Gems and Jewellery Industry a television show will be launched which will purely cater our G & J Industry. A novel platform for the Gems and Jewellery Industry launched by IIJC in association with CNBC Awaaz organised by Jewel Trendz on Pan India Level. 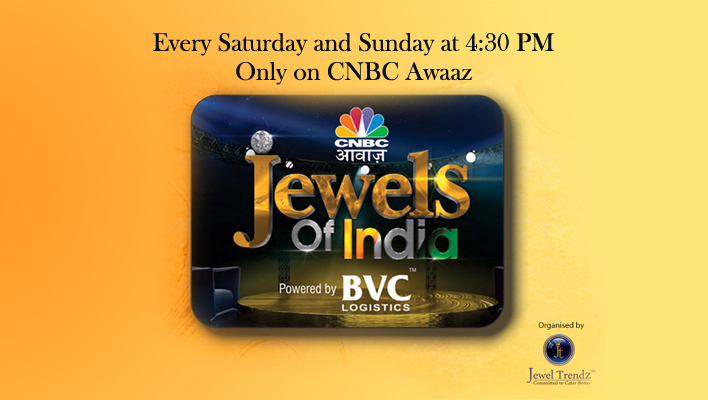 It is an exclusive show, where 52 Jewellery manufacturers & wholesalers of India will get an opportunity to be featured every week on CNBC Awaaz. The program will be broadcasted every Saturday for 30 minutes and the repeat telecast of the program will be aired every Sunday. Website designed and maintained by Webtrendz.